You've found yourself stuck with an antiquated legacy parking system that tells you nothing about what's going on in your cities parking infrastructure. But it feels like you should be enforcing better, which is really code for generating more revenue. But because you have no idea how many violations actually are occurring in your municipality, and obviously no idea how many of those you're actually capturing, you decide to double down on flying blind and add a fleet of expensive LPR cars to your solution. Here's why Sentry is a better overall solution for any parking system that currently has, or is looking to add LPR cars. There's no dispute that with embedded video technology in Sentry meters or CamSticks every space in your municipality is enforced 24x7. Every parking session recorded. Every violation captured. No coffee breaks, no stopping to refill the gas tank. Sentry is always on the job. Sentry has all your parking data at your finger tips. LPR cars driving around in traffic can only produce a sample of what's going on right NOW. They get stuck in traffic, or your fleet of expensive cars is not large enough to cover your whole city frequently enough for digital chalking to provide the data you need. LPR car vendors talk the talk about driving compliance, but what are they basing their claims on? Sentry always knows the details and is recording metrics and irrefutable video on all your parking sessions. LPR cars, paired with antiquated meters or multi-space solutions, have no accurate way to calculate compliance. Sentry also has advanced features like True Up and No Fine to enable the parker to easily avoid violations and comply paying the city for the parking services they have consumed. LPR car vendors will talk about how LPR data adds to your city's overall safety. We agree, but we do it better. First off there's no LPR lottery which is what is occurring as LPR cars drive around in traffic sampling what they can see of cars as they sit at rest. Here's the details they won't tell you. Reading the license plate of a car at rest, with potentially other cars squeezed in tight to the front and the back in parallel spaces is very difficult. Hence they miss lots of plates. Sentry because of it's integrated video and industry leading vehicle detection sees the vehicle on arrival and departure, as well as at rest, providing more opportunities to provide clean reads of the license plate. If Sentry is unable to use LPR software to read the plate, the video is presented to a live human for them to attempt a read. Much more robust than anything a LPR car vendor can provide. Once this data is obtained Sentry has advanced persons of interest list processing, as well as search capabilities allowing public safety officials to rebuild crime scenes, plot individual plates on a map over a period of time. Powerful public safety tools designed into Sentry from the ground floor. Sentry is not adding to your traffic congestion. Sentry is not polluting your city. Sentry is not burning fossil fuels. Sentry is on the job 24x7 at all parking spaces. 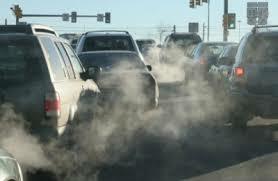 It's more discrete, doesn't require frequent stops clogging your traffic and polluting your air. You're not paying money for gas, oil and vehicle maintenance. You're not purchasing new vehicles when old ones wear out. You're not paying city personnel to drive the vehicle around all day. You're not paying for insurance. You're not putting your personnel at risk sending the LPR car into dangerous areas. With Sentry you can increase or decrease enforcement areas instantly with a mouse click. Scaling up a enforcement solution with LPR cars is cumbersome and EXPENSIVE. With Sentry scaling is easy. All your spaces are already enforced 24x7. You decide which ones to add to your enforcement ares with a mouse click.